- Enhancements to the One Time Offer feature. - Improvements and maintenance to the core app functionality. Star Spins Slots HD – the shiny, new, (and even better) version of Star Spins Slots. 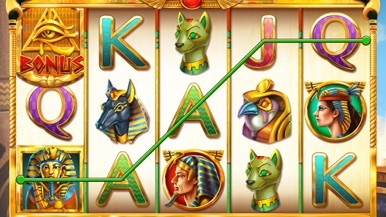 Free, fun and realistic slot machine action! 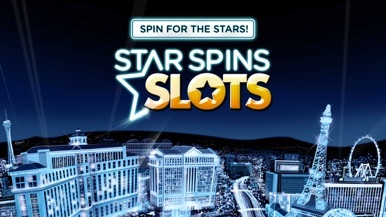 Download Star Spins Slots HD for a real Vegas experience! Spin for the stars and try your luck at winning heaps of virtual money. Play for free and build up a stash of online coins that you can use to play more games or measure your success. Star Spins Slots HD is a fast-action Las Vegas-style casino game that features loads of fun and free slot machines, and it’s one of the top free gaming apps in the App Store. Free Las Vegas Casino Action! Download Star Spins Slots HD for free and fun gaming in a sophisticated online environment that recreates Las Vegas’ popular games and payouts. Play to win a big jackpot, and then keep playing to enjoy a game that lets you experience Vegas without having to fly or drive there. 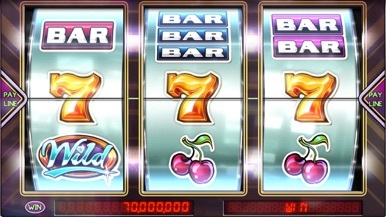 Star Spins Slots HD offers the chance to play some of the most beloved classic slot machines, and it features some new games that are beautifully designed specifically for this free app. Try them all and work your way up to being a Star Spinner! Play Star Spins Slots HD to enjoy slot machines with amazing artwork, engaging game play, and feature-packed bonus rounds. 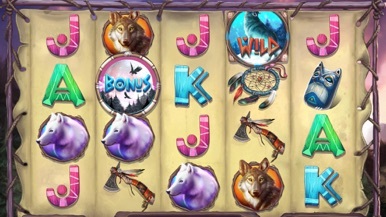 Premium slots in Star Spins Slots HD allow you to win ultra-big jackpots! Star Spins Slots HD offers hours of gaming fun in a completely free app. 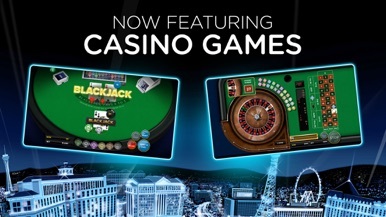 Star Spins Slots HD now offers Roulette, Blackjack, and Video Poker in addition to innovative and immersive slot machines. Play all of the games to build up coins and to continue on with your winning ways. Pull out your Star Spins Slots HD app when you’re bored or need to pass time, and spin to win big and you can invite your friends to do the same. Download Star Spins Slots HD today for free and start enjoying virtual Vegas action! Star Spins Slots HD is a slot simulator for entertainment use only. It is free to play, and you can choose to purchase additional coins with in-app transactions. Star Spins Slots HD is intended for an adult audience. Star Spins Slots HD does not offer real money gambling or an opportunity to win real money or prizes. Operated by Bagelcode Inc. Star Spins Slots is used under license from Jackpotjoy Operations Ltd. and is the trade mark of Jackpotjoy Operations Ltd.
Running Panda is a simple and addictive adventurous run game with simple controls. Our little panda is starving in jungle. Help our little panda to run and get all coins for foods. Let's run and explore the venture in this dangerous game with beautiful graphics and exciting scenarios. How to play: tap to jump! Ugh...My head hurts... I don't remember what happened. Though I recall falling asleep yesterday after drinking like a fish... I just woke up now and realized I had become...a dog??? What a crappy situation... I should come to my senses and look around. I should look for a way to go back to being a human.